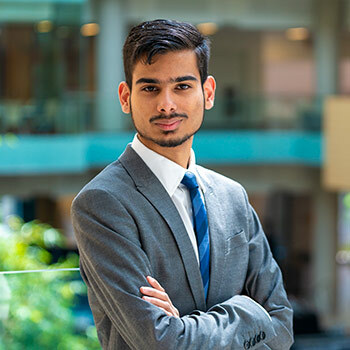 I am currently enrolled in an Honours Economics and Financial Management bachelors degree with a research specialization and Minor in Computer Science co-op. My supervisor is Dr. Christos Shiamptanis. I will be completing my degree requirements in August 2018. My honours paper explored the concept of ‘fiscal fatigue’, coined by Ghosh et al. in 2013. Countries exhibit a phenomenon called ‘fiscal fatigue’ when a country can no longer keep pace with increasing interest payments as the country’s level of debt rises. To identify when ‘fiscal fatigue’ will occur, Ghosh et al. proposes a cubic fiscal reaction function, which explains the behaviour of surplus with respect to debt. They argue that a negative relationship between surplus and debt at high levels of debt illustrates fiscal fatigue. In my paper, using the examples of four developed economies over the period 1970 – 2016, I found evidence in support of a linear fiscal reaction function over a cubic one. Additionally, I show that at high levels of debts countries could exhibit a phenomenon called ‘fiscal invigoration’. This is when a country trends back to its long run equilibrium as the nation’s surplus rises as the debt level shrinks, which is opposite to ‘fiscal fatigue.’ Finally, I illustrated the conditions under which a researcher may mistakenly claim ‘fiscal fatigue’ by using Ghosh et al.’s (2013) cubic model. The most inspiring moment of this project for me is when I found evidence that a linear fiscal reaction function combined with a linear government budget constrain yields dynamic non-linear adjustment paths, which look very similar to Ghosh et al.’s (2013) cubic model. The next step in this research area is for Dr. Shiamptanis to use this framework and enhance the methodology before submitting the research for publication to a peer reviewed journal publication. I hope to assist policy makers who are working to effectively manage fiscal sustainability goals for a country. Specifically, researchers need to be extra careful when observing a negative relationship between a country’s surplus and debt when a country is experiencing high levels of debt. This negative relationship observed by a nation is not necessarily an alarming fiscal fatigue situation, but rather might be showing fiscal invigoration. This in turn suggests that high levels of debt do not necessarily compromise fiscal sustainability and thus countries should not be penalized by the financial markets.